With stock-issued digital-reader formats (i.e., PDF and EPUB), there are significant limitations on how you can present your documents and media with your company’s flair. This makes it difficult for your users to fully enjoy and engage with your digitally published material. Your collection is too valuable to give up this important branding opportunity. You solve this with proLibro. 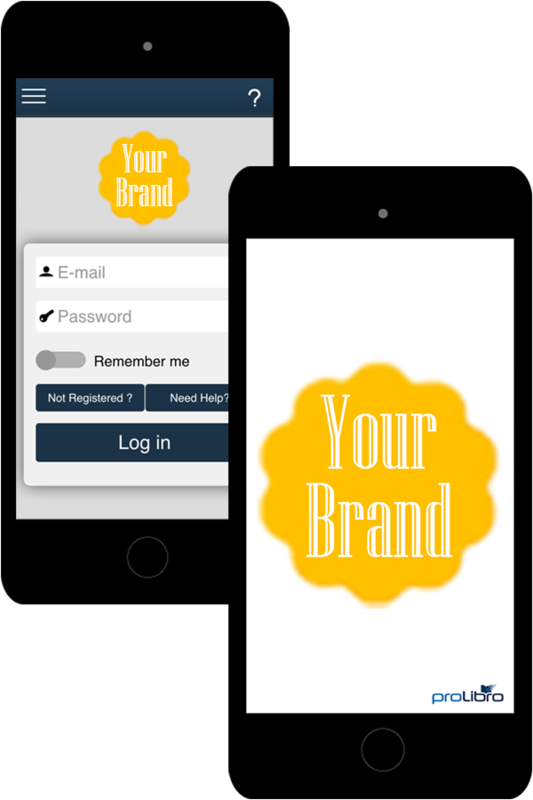 Ensure your brand is presented properly in all your digital collection for the benefit of your business and that of your customers, too. Full branding is made easy with proLibro. Its powerful publishing tools give you the capability to add icons, splash pages, search filters that are specific to each industry, and more to all your digitally published works. Designed specifically for knowledge workers in the legal, financial, medical, educational, scientific and technological sectors, the future of platform customization is right here, right now with proLibro. Pro-grade digital material deserves to be complemented with the best reading and researching experience possible. Make that possible with custom icons in your documents and media, designed specifically to meet the needs of targeted readers. Immerse your customer’s targeted readers and researchers in a digital experience that is thoughtfully designed to support a well-defined brand. Engaging, high-resolution splash pages are fully supported in proLibro. 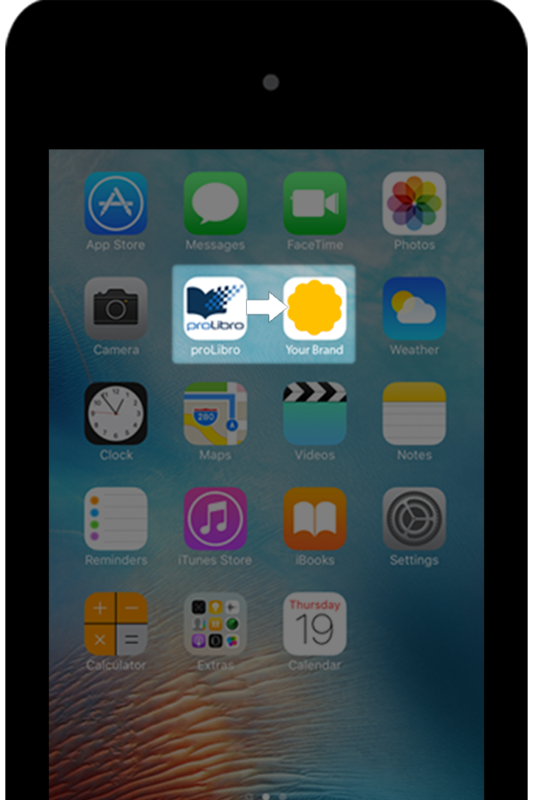 proLibro’s branding and identity support extends to your presence in the App Marketplaces such as the Apple App Store and Google Play. 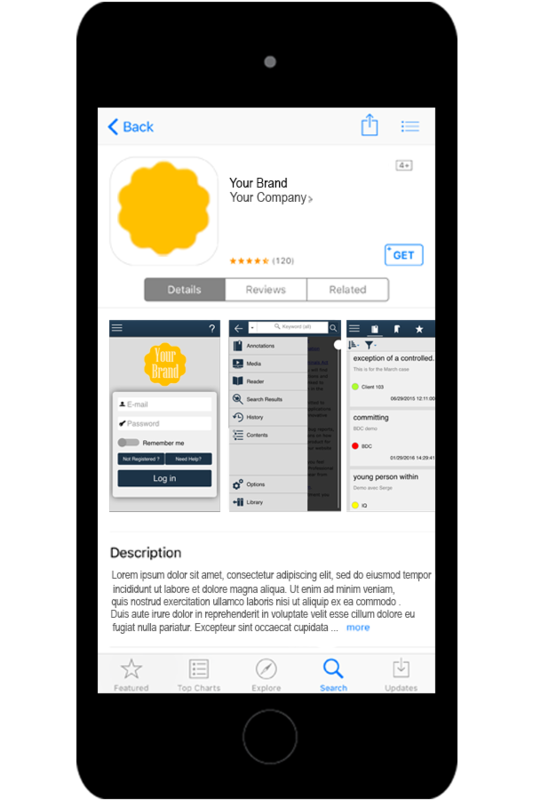 App descriptions, images, screen shots, and other branding are all customeized to your identity – as are the titles that will appear in the Library.